The field of Materials Science and Engineering encompasses the broad disciplines of physics, chemistry, biology, and engineering by providing a platform for multidisciplinary activities across these fields. It integrates the role of research and education to develop and prepare students for today’s challenges while giving them the breadth, perspective, versatility, and vision to adapt to the changing environment of tomorrow. Millersville University of Pennsylvania and the University of Delaware have established a comprehensive dual degree program that allows students in 5 years to earn both a BA degree in Physics from Millersville University as well as a MS degree in Materials Science and Engineering from the University of Delaware. 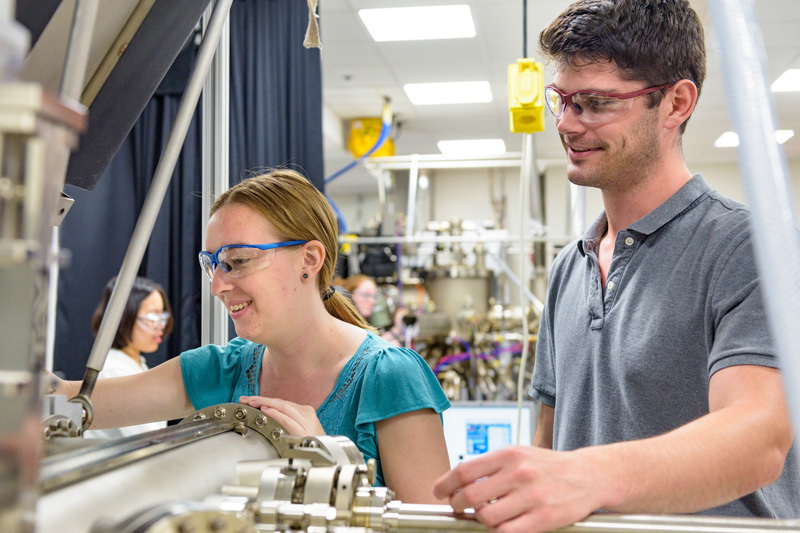 This dual degree option allows undergraduate students at Millersville University to transfer 26 earned credits (with a grade of C or better) from the University of Delaware toward their BA Physics degree program in order to meet the required 120 credits needed to earn the BA Physics degree. This allows students to accumulate graduate credits that can be used towards both degree options.